Ensuring a diverse work environment needs to be an ongoing process. I’ve spoken at dozens of events about diversity, inclusion and representation in the past three years. How far we’ve come! We’re all quite proud of ourselves. I’ve certainly felt it myself. Allure won Adweek’s Magazine of the Year in 2017, in large part because of the diverse subjects on our covers, ranging from Somali-American model Halima Aden in a Nike hijab with the line “This is American beauty now” to 72-year-old Helen Mirren as we proudly announced that Allure was banning the term “anti-aging” forever. I recognize that much of our success has revolved around the diversity discussion. The more I learn, though, the more I realize how far we have to go. There has been progress, a palpable sea change in media, Hollywood, beauty, fashion and advertising. But I’m worried that the mood in many corners about diversity has become prematurely self-congratulatory. Several leaders, for instance, have cheered their brands’ diversity efforts because they featured one light-skinned black model in a sea of six white models or had one plus-size woman walk the runway. Yes, any effort is technically progress, but the danger of skipping straight to the high-fives is that it creates a false sense that brands have done their duty. After all, if you’ve already ticked off your obligatory box, will you push to do even better? Diversity can never be a box that you tick off; it’s a living, breathing, constantly shifting, nuanced organism. Chart the progress in many industries, and the graph likely looks positive. Today there are diversity progress reports everywhere: the Oscars race, magazine covers, runway shows, senior rankings of tech giants. Indeed.com reported that postings for diversity and inclusion jobs increased 20 percent over the past year. The beauty industry over the past year has been obsessed with the number of foundation shades a brand offers. First, Fenty Beauty raised the bar to a category-disrupting 40 shades of foundation, and every other makeup brand needed to step into line. Just last month, the Rihanna-led brand upped the ante to 50 shades of concealer. One downside of focusing too much on numbers, however, is that you miss a vital point about representation: nuance. Just as “people of color” is a massively varied group, so are all the many groups within it. For instance, compare Indian culture to Japanese culture to Chinese culture to Nepalese culture. They’re vastly different, yet we bucket them all into the Asian-American category. Dig deeper and there’s history—and oftentimes bigotry and colorism—within those smaller groups. Having a more diverse workforce will help you understand your audience and think in new, innovative ways. And within that, look beyond your usual pools of talent. Diversity of thought and experience leads to better ideas. The Dave Chang Show recently talked about how his establishments used to only hire from Michelin-starred restaurants, but that they markedly improved after they loosened that grip and will now hire good people from anywhere. Thinking outside the box means thinking outside of our bubbles in many ways. Diversity can’t just be a shiny marketing tool. You need to follow through. If you’re a beauty brand that brags about a new, improved inclusive foundation shade range, don’t just do it for the Instagram post. Stock the darker shades in stores when customers go looking for it so they don’t walk away frustrated. Similarly, if your brand now promotes size inclusivity, make sure those sizes are actually available in-store. Inclusion is telling people’s stories or providing a platform to tell their own who may not have the privilege of being part of the traditional system. 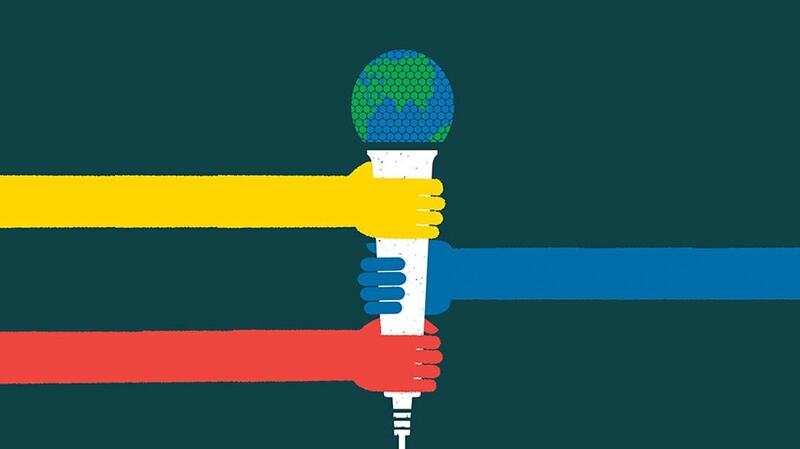 The future of inclusion is doing just that: including a range of voices, without feeling the need to point out their “otherness.” We’re not there yet, but I know we’ll get there. The future of featuring gray-haired women, trans actors or size-18 models is simply weaving them into the fabric of everything we do. When that happens, that’ll be something to celebrate. This story first appeared in the Feb. 4, 2019, issue of Adweek magazine. Click here to subscribe. 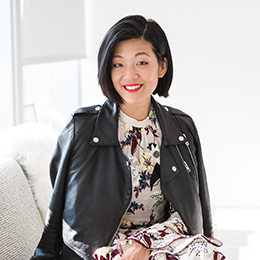 Michelle Lee is editor in chief of Allure and was honored as Adweek's Editor of the Year for 2017. 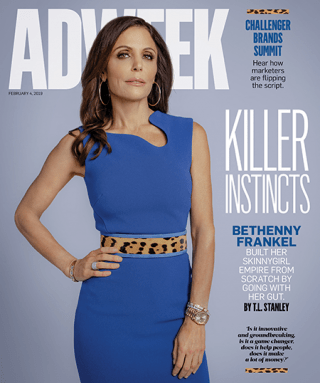 She is also a member of the Adweek Advisory Board.